We are happy to share with you a little interview we did for The Weather Channel. 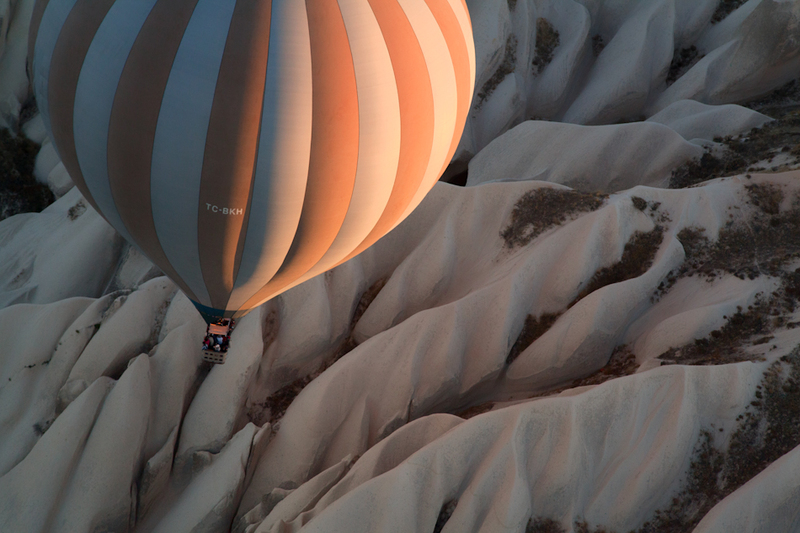 We were recently approached by them to answer a few questions about some of our landscape photography in Cappadocia, Turkey. The editors at The Weather Channel fell in love with them, and wanted to feature our photos in a blog post on their website. We couldn't be more honored to have participated in this, and we hope that you like it as well. We'll have some of our photos available for sale on our online store, so check them out and let us know what you think. We even created a special coupon for you to use. Just type "WEATHER2014" and you get 15% off any order from our store until the end of the month. We've gotten another great blog mention online, on the My Modern Met blog. One of the posts was talking about Cappadocia, and several of our photographs from Turkey were published along with a quote by Afonso Salcedo. We couldn't be happier to see our images inspiring other people, and we just had to share the news with you. If you didn't know, you can buy several of the photos on our online store. Take a look! We're offering a special deal the rest of the month. Use the coupon code "PARTYOF3" and you can get 15% off at checkout if you order $500 or more. Go to our store now! This is a small start and we know there are lots of things we'd like to do on a next version: adding maps, adding more video, adding more details on each photo, some behind the scenes, but since we had to start somewhere we already invested a lot of time and our own money in making this little project. With your help, and just the price of a cup of coffee in the US, we'll do this again for other projects. We're currently thinking of adding an Iceland and Portugal books to the collection... Check it out, send us ideas, suggestions and opinions! Our first photo iBook "Turkey - A Two Week Photo Journey" was just submitted to the iBookstore for approval by Apple. Hopefully, it will be available for sale on an iPad near you soon enough. Here's a page from the book. We have now sent our application to Apple to publish our first ever iPad photo travel book. This will start, as usual, as a simple experiment in the design to show some our favorite sights we came across in Turkey during our two-week journey in September. It's not intended to be a travel guide, mostly an inspirational journey into what has quickly become one of our favorite countries so far. Stay tuned for more details!